Greetings from Santa Maria Volcano….wish you were here! 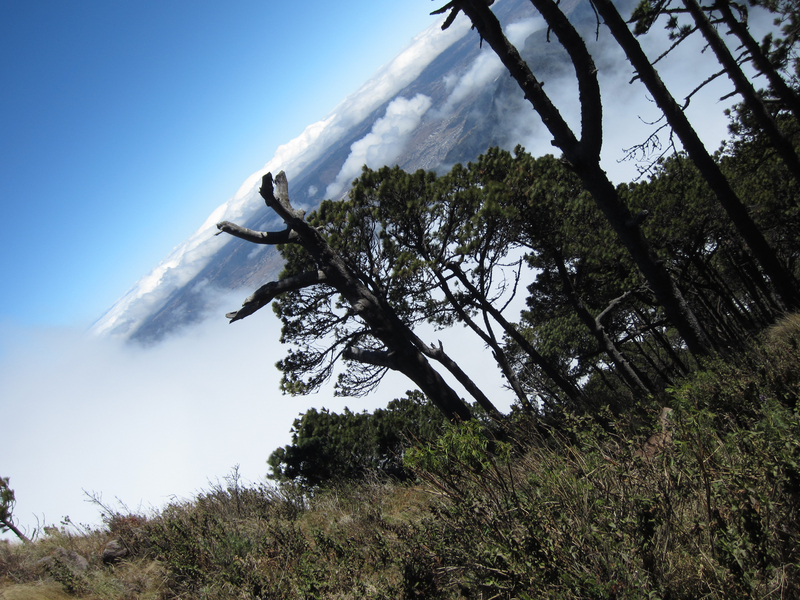 Photo taken on descent from Santa Maria Volcano climb in Guatemala. We were climbing down from the peak of Santa Maria volcano (or shall I call it sliding down as it was muddy and slippery) and I stopped to take this photo of the town of Xela far below. Xela is the second largest town in Guatemala and is in a valley surrounded by volcanoes. I will be writing more about my volcano climb soon on thirdeyemom. I took over 50 pictures and couldn’t stop so it will probably have to be two posts. I can’t leave any out! Stay tuned!